When news broke on Thursday about the passing of Vernon Vipers owner and BCHL Chairman of the Board Duncan Wray, tributes began to flood in from around the league from players and coaches to fellow owners and people around the hockey world. I didn’t know Duncan really well, but I had interacted with him enough times to know what type of person he was. Although I was with the Centennials and Merritt radio station at the time, Duncan was always respectful and friendly. 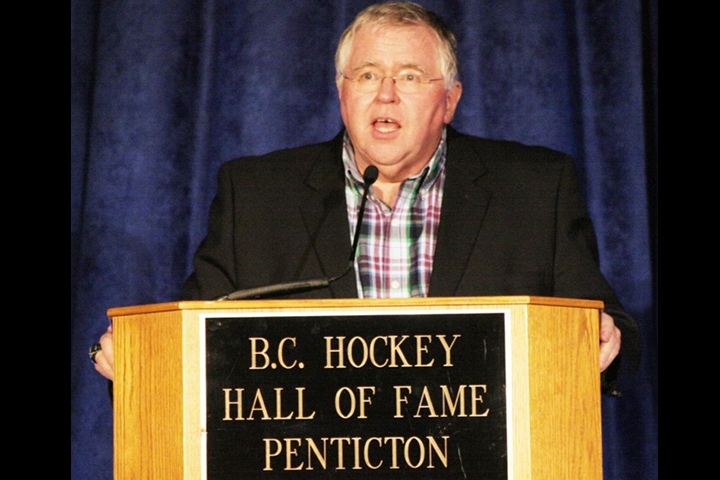 He exuded a passion for junior A hockey that very few have and his impact on the BCHL will reverberate for many years. Shocked and saddened by the sudden passing of Duncan Wray. The BCHL lost a great leader. Condolences to the Wray family and those closest to him in the hockey world. Shocked and saddened to hear of the passing of Duncan Wray, always took the time when I ran into him to talk hockey & photography. Condolences to the Wray family and @VernonVipers organization. Terrible news this morning with the passing of Dr. Duncan Wray. It was always a pleasure to bump into him at the rink and talk hockey for a few minutes. Condolences to his family and the Vipers organization on a very sad day. While we are in different leagues, the Saints share some amazing memories with the @VernonVipers. All of which would not have been possible without the great man Duncan Wray was. The Saints would like to send their deepest condolences to whole organization at this time. Sad to hear about Duncan Wray. He was the reason I had the chance to play for my hometown @VernonVipers in my last 4 months of junior hockey and live out a childhood dream. Nothing but a class act owner and person. #RIP to a legend in the hockey community. Not sure I can describe in a tweet how sad it is to hear of Dr. Duncan Wray’s passing. From my time at the RBC Cup, to being a visiting broadcaster, and last season a fan, I’ll always remember him. “I guess they’ll let just about anyone in” is what he always said. Extremely saddened to hear of the passing of Duncan Wray. He was an amazing man who will be extremely missed. He gave so many of us the opportunity to chase our dreams which we are all so grateful for. Just in shock hearing about the passing of @VernonVipers owner Duncan Wray. I will miss our visits so very much. The BCHL lost a cherished member today. Condolences to Duncan’s family and the entire Vipers hockey community. The world has lost an amazing human. Rest in Peace Dr. Duncan Wray, he will be forever missed & forever appreciated. Thank you for inspiring my love of the game, namely the @bchllive and the @VernonVipers – he was true idol to many, especially myself. This entry was posted in BCHL, Duncan Wray, Vernon Vipers by Brian Wiebe. Bookmark the permalink.